For enthusiasts, one of the joys (and often times frustrations!) of horse racing is handicapping. Here at Sagamore we share in the excitement of the Triple Crown season and have a lot of fun participating in the handicapping game. This season, we invite you to follow along as we share insights from our President, Hunter Rankin. A Kentucky native, Hunter has been involved with the racing industry his whole life and has picked up a great appreciation for the art of handicapping. 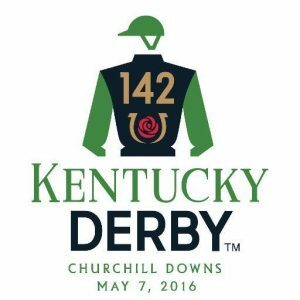 First up, we take a look at the Kentucky Oaks and the Kentucky Derby contenders! Lewis Bay (3) is a beautiful daughter of Bernardini and she seems to be improving. She is the only filly in the race to win at 1 1/8th. I think she’ll be a factor late in the race. Go Maggie Go (4) is a very lightly raced daughter of Ghostzapper and has been very impressive in the only 2 starts of her career. Because of her inexperience her odds will be a bit higher than they should be but her talent should make her a factor in the race. Rachel’s Valentina (11) is Rachel Alexandra’s (Winner of 2009 KY Oaks & 2009 Preakness) second foal. She makes her second start of 2016 and her first was a very game effort and second place finish in the Ashland Stakes at Keeneland. She is one of 3-4 fillies that could be the post time favorite and I would make her the slight favorite in this race. Because of the competition here, she will have very good value as a Win, Place, Show bet. Cathryn Sophia (12) before her last race, Cathryn Sophia was arguably the best 3-year-old filly in the country and is also a Maryland-bred. Her trip in the Ashland Stakes was not ideal as she was bottled up inside and then was forced 4 wide going into the stretch which most likely cost her the race. She has trained very well up to this race, the only question will be the distance. Creator (3) it took him 7 starts to break his maiden but he has now rounded into form and might be doing as well as anyone in the field. He will need pace to run at from the 3 hole but he definitely could be a factor late. Mo Tom (4) Maybe one of the most talented horses in the field but he finds trouble at every turn (sometimes thanks to the jockey). I am going to give him another chance here but he will have to weave through a lot to get the W, still think his talent is really impressive. Nyquist (13) He’s the best horse in the field by record and quite possibly, ability. This horse obviously hates to lose and even when things go wrong he finds a way (Breeders Cup Juvenile 2015). I’ll be surprised if he doesn’t have the lead with 1⁄4 mile to go and we’ll see if they can run him down. Outwork (15) The way I see the race, he’s one of only 2 legitimate speed horses. He’s very lightly raced, obviously talented and easily could be part of the equation. Danzig Candy (20) was rushed by Mike Smith in the slop last time at Santa Anita. I don’t believe he enjoyed the wet track and I believe he could be one of those speed horses that hold on for a piece or potentially all of the money (Firing Line, Hard Spun, Lion Heart, War Emblem, Go For Gin, Shackleford). He could be dangerous.